31 Oct Want to get more out of your iOS 11 device? We will be going over some nifty features in the new software that will make you smile while you use your Apple device. 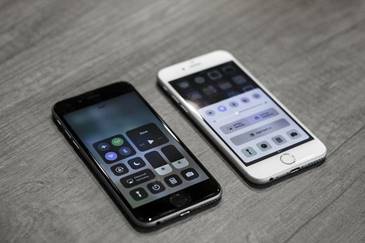 Here is some of my favourite iOS 11 tips and tricks that we think you need to know about. Remember Apples iOS 10’s control centre? One page sliding out from the bottom, no customisation and you had to deal with the box standard options available to you, instead the iOS 11 allows the spread over multiple cards. You can even customise what you want displayed, able to remove, add items and rearrange the order in the way you like. My personal favourite is the introduction of screen recording, remember the days of either forwarding a link to a funny video or trying to find a third-party app to record your screen? No more it’s all done in-house now which I personally love. If you have an IPhone or an IPad without 3D touch support, guess what you can still get 3D touch. For those that don’t know what 3D touch is, it enables you to press hard on the screen for additional options. 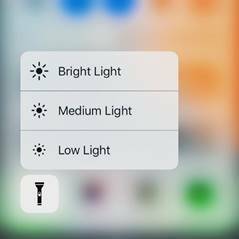 On an IPhone or IPad if you long-press any button in the control centre you’ll get the 3D touch options, for example when you long-press the torch you can adjust the brightness of your torch, it’s the same principle with the timer. This option is mainly focused for your IPad, with the new dock in iOS11 multitasking becomes a thing of ease. Once you’re in a app and you want to check your email for a link, simply swipe up from the bottom of the screen which will bring up the dock, press and hold the Mail icon and drag it to the side of the screen. This opens the Mail app in a narrow window on the side so that you can check your email or send an email without even leaving the app you were already using. They really are improving on functionality for everyday use. We all struggle with storage space on IPhone, even myself to a point that I pay Apple £0.79 per month for 50GB of ICloud storage. 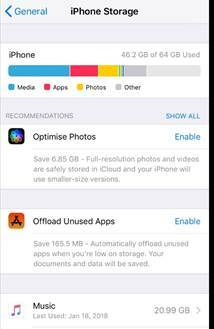 With the new iOS 11 software Apple have introduced new ways to improve your storage, including new, more efficient file formats for photo and video – however this will only apply for new photos or videos that you take, it will not apply to any that you already have. Ever had trouble using one hand while typing up a text? Well know it’s easier all with a simple touch of a button. 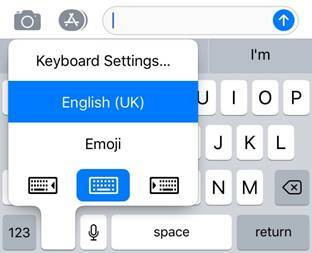 If you press and hold the globe/emoji icon on the keyboard, there are three new icons for the keyboard, left, normal and right. The left and right compress the keyboard to around ¾ of its normal size which dependent on your preference can be placed to the right of the screen or to the left. This option works fantastically on the Plus model and IPad’s.